Taken from InterIm CDA’s conference room. Photo by Jill Wasberg. In the conference room of InterIm Community Development Association (CDA), a picture of Bob Santos is propped up against the whiteboard. The “unofficial mayor” of Seattle’s Chinatown-International District (CID) wears his characteristic Panama hat, this one bearing InterIm CDA’s logo. He is caught mid-inhale as he takes a drag on a cigar, giving the camera a sly case of side eye. “Uncle Bob is watching!” a caption says in red Sharpie. The picture is a reminder of the legacy resting on the shoulders of all who enter. For years, Uncle Bob led InterIm CDA and kept  the CID intact as an ethnic neighborhood and a home for low-income elderly and families, immigrants and refugees. Now, as InterIm CDA  celebrates its 50th  anniversary this year, Uncle Bob’s example is as vital as ever. Seattle has become more and more expensive, and changes in zoning laws have opened up the CID to development. The CID community is at risk of displacement – but InterIm CDA is determined to stop that from happening. The organization has fought displacement from its beginning, back when the threat wasn’t expensive high rises but Interstate 5, which cut the neighborhood in half, or the King Dome, which sat on its eastern edge. InterIm CDA has 50 years of credibility in the community, placing it in a unique position to work with a range of partners, from grassroots activists to City Hall. In 2012, InterIm CDA merged with the International District Housing Alliance. 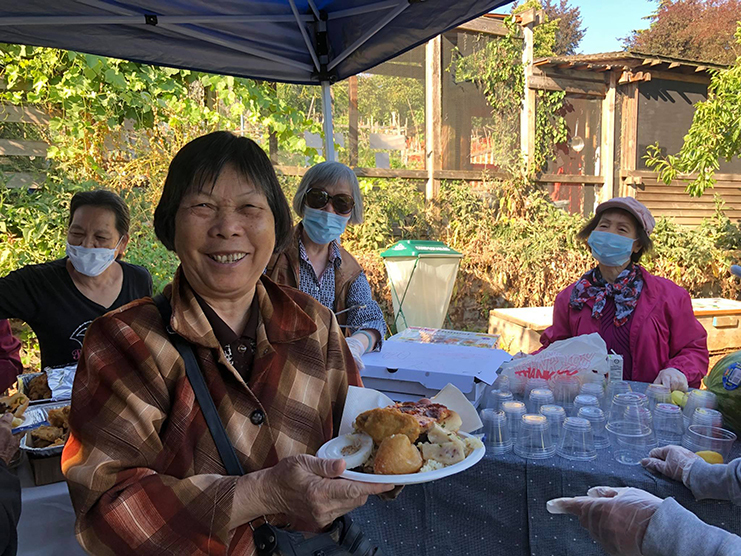 Its work expanded beyond planning, policy, building affordable housing and management of the Danny Woo Community Garden to include culturally appropriate direct services. These services touch on a range of issues, from homelessness and domestic violence to youth leadership development and public health. The merger allowed InterIm CDA to take a more holistic approach to the community’s challenges and gave it more options for funding. Its staff grew from eight to 33. With this increased capacity, InterIm CDA started doing work outside of Seattle in cities like Kent and Tukwila, serving the immigrant and refugee communities that can no longer afford to live in Seattle. It partners with organizations like Mother Africa, Mother Nation and Chief Seattle Club. 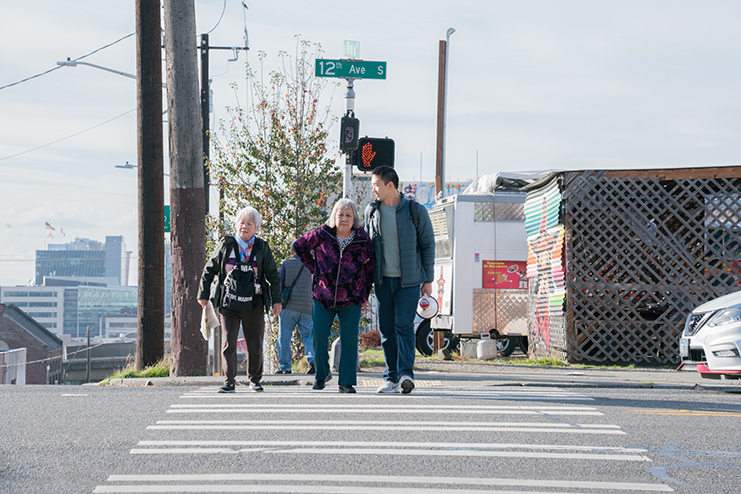 The 2012 merger with International District Housing Alliance has allowed for more direct services programs, community outreach and interacting with residents in InterIm’s buildings and others in the CID. Photo courtesy of InterIm CDA. Yet InterIm CDA’s focus remains on the CID, as the pace of development escalates. Between 2008 and 2013, there were five applications for new constructions. Since 2014, there have been 15. This tension between community needs and developers echoes a conflict playing out in neighborhoods across Seattle. On February 28, ground was broken on Koda condominiums, the CID’s first high-rise development. InterIm CDA and the activist group Humbows Not Hotels shared community input with Koda’s developers but felt they weren’t listened to, Upadhyay claims. InterIm CDA helped organize a protest, and 90 community members were at the ground-breaking to make their voices heard. “We aren’t against zoning, we are for more inclusive zoning to address displacement,” said Tom Im, InterIm CDA’s deputy director. InterIm CDA’s stance is that the community benefits brought to the neighborhood aren’t in balance with the height the developers received through the upzones. Because of the vulnerable populations in the CID – immigrants and refugees, low-income people, people of color – the threat is greater than in other areas, such as Wallingford or Ballard. These communities are also what can save the neighborhood, because they define what makes the CID unique. “Communities, not condos” — an echo of Uncle Bob’s slogan “humbows, not hot dogs,” — is the kind of rallying cry that can be heard from the street corner to City Hall. 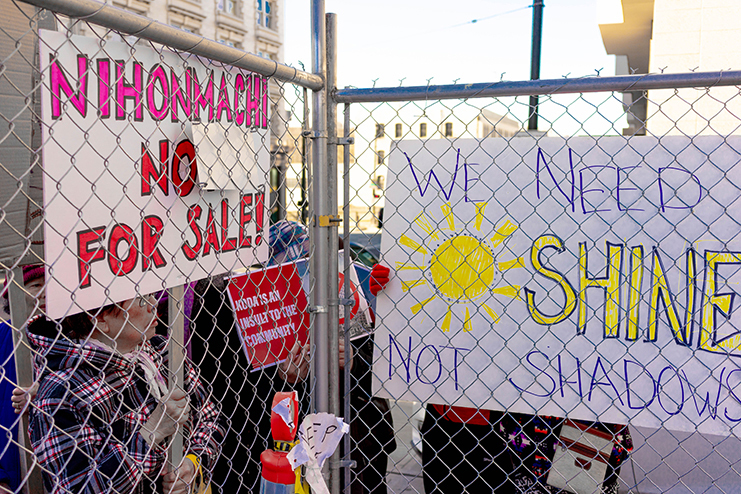 On February 26, two days before Koda’s ground-breaking, Seattle Mayor Jenny Durkan signed an executive order directing city departments to address displacement and gentrification using a variety of tools. One of these tools is the Community Preference Policy. It enables developers receiving city funding to prioritize people who are at risk of displacement for their developments. In late Feburary, InterIm CDA helped organize a community protest against the groundbreaking ceremony of Koda Condominiums. Photo by Auriza Ugalino. InterIm CDA has been working with the Office of Housing to push the policy and shape how it works. Once it is finalized, it could be used for developments like Uncle Bob’s Place, an InterIm CDA project with 126 units of affordable housing scheduled to open in 2021. These events in late February sum up the organization’s two-pronged approach – on the ground and in the halls of power. It is also a glimpse of what the next 50 years looks like for InterIm CDA. Upadhyay outlines fighting displacement, community empowerment and influencing policy and system change as priorities for the future. Leslie Morishita, InterIm CDA’s Director of Real Estate, has been on the front lines of the organization’s anti-displacement work. A community organizer, Henry Liu, has been on staff for a year. He’s worked with residents of InterIm CDA buildings, empowering them to use their voices and add authenticity and credibility to the anti-displacement fight. Henry Liu (far right) is InterIm CDA’s community organizer. He works with residents in InterIm CDA’s buildings to involve them in community activism. Photo courtesy InterIm CDA. But grassroots organizing is only one piece of the puzzle. “No matter how much we empower the community and help them understand issues and create the best advocates in the community, nothing is going to change if we still have to deal with policies that are oppressive,” Upadhyay said. InterIm CDA is in the midst of filling its first policy position. There is a range of anti-displacement policies already on the table in City Hall. This includes legislation directing the city to evaluate a city property for use as affordable housing, when it is put up for sale. Another bill requires one-for-one replacement of affordable housing in certain parts of the city. Bridging the gap between the people on the streets and the people in power – building a movement – is work that InterIm CDA has done before and is building on for the future. 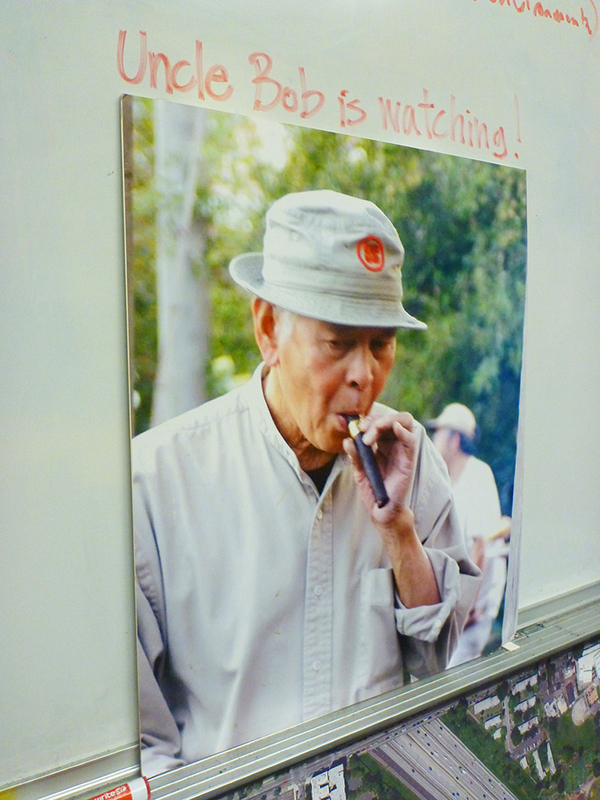 If they need inspiration, staff need look no further than the picture of Uncle Bob propped up on the whiteboard. “We owe it to him – and we owe it to what this organization is – to be true to why InterIm was established,” Updadyay said. InterIm CDA celebrates its 50th anniversary at its upcoming gala held on May 4. For tickets and more information, visit their website.